There’s always some electronics topic that I end up focusing all my efforts on (at least for a certain time), and that topic is now eMMC NAND Flash memory. eMMC (sometimes shown as e.MMC or e-MMC) stands for Embedded MultiMediaCard; some manufacturers create their own name like SanDisk’s iNAND or Hynix’s e-NAND. It’s a very common form of Flash storage in smartphones and tablets, even lower-end laptops. The newer versions of the eMMC standard (4.5, 5.0 and 5.1) have placed greater emphasis on random small-block I/O (IOPS, or Input/Output operations per second; eMMC devices can now provide SSD-like performance (>10 MB/s 4KB read/write) without the higher cost and power consumption of a full SATA- or PCIe-based SSD. MMC and eMMC storage is closely related to the SD card standard everyone knows today. In fact, SD hosts will often be able to use MMC devices without modification (electrically, they are the same, but software-wise SD has a slightly different feature set; for example SD cards have CPRM copy protection but lack the MMC’s TRIM and Secure Erase commands. The “e” in eMMC refers to the fact that the memory is a BGA chip directly soldered (embedded) to the motherboard (this also prevents it from being easily upgraded without the proper tools and know-how. Ramble: Fixstars’ 6TB SATA SSD – is it a thing? If you know me personally, you’ll know that I absolutely love SSDs. Every PC I own has one, and I can’t stand to use a computer that runs off an HDD anymore. Naturally, when I read about a 6 TERABYTE SSD coming out, it piqued my curiosity. A Japanese company by the name of Fixstar has recently announced the world’s first 6TB SATA-based SSD. Although 2.5″ SSDs in such a capacity range already exist, they’re SAS (Serial Attached SCSI) based which limits them primarily to server/datacenter usage. 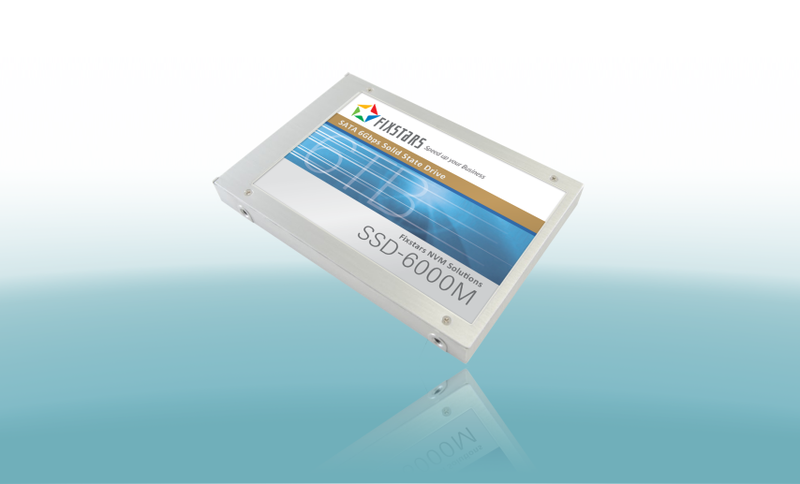 According to Fixstars’ press release, their SSD-6000M supports sequential read speeds of 540 MB/s, and sequential write speeds of 520 MB/s, which is on par with most modern SATA III (6 Gbps) SSDs on the market today. However, after reading a bit online, I’m beginning to have some concerns about the drive’s real-world performance. One thing that is rather worrying is that the company has only mentioned sequential I/O speeds and has said nothing on random I/O or read/write latency; although SSDs do have much better sequential speeds than their mechanical spinning counterparts, they really shine when it comes to random I/O (which makes up much of a computer’s typical day-to-day usage). In the early, early days of SSDs, manufacturers cared only about sequential I/O and it resulted in some SSDs that were absolutely terrible when it came to random I/O (fun fact: I once had an early SSD, the Patriot PS-100, and its performance was so bad that it actually turned me off of SSDs for a few years, so I know how bad such unoptimized SSDs can perform). 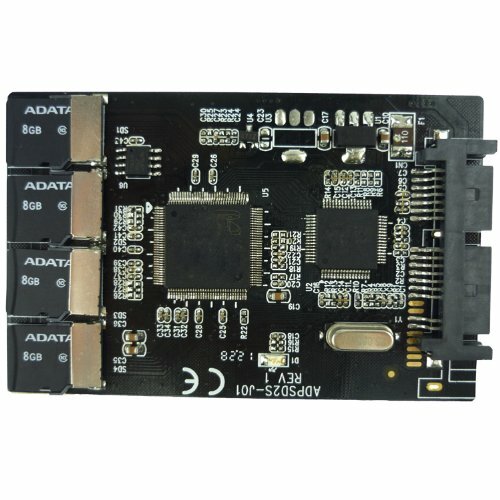 The SSD appears to be made up of 52 eMMC (embedded MultiMediaCard) chips in a sort of RAID 0 configuration and an FPGA (field-programmable gate array) as the main controller. In layman’s terms, this SSD is literally made up of a bunch of SD cards “strapped” together with a chip so that it appears as one single drive. In that sense, one can make a similar solution using a board like this, which parallels multiple microSD cards to act as a single ‘SSD’. The consumer equivalent of the SSD-6000M: SD cards and a controller chip. You can even get them from Amazon. I’m wary of how well this SSD is going to take off. It could end up being a tremendous success, but it’ll certainly be out of the reach of the consumer market – either by its potentially poor random I/O performance, or its price (apparently it will cost well over $6000 USD).